Following the scientific committee of 28 and 29 November 2016, proposals for new projects were examined by the Executive Board. The scientific committee represents an important moment in the life of Labex, where the probabilities of producing new significant results, both in terms of science and impact, are estimated for the overall program. For the year 2017, UnivEarthS has selected 6 new projects to be funded and accompanied by the Labex. Find below the summaries of the presentation of these projects. Most massive stars experience a binary interaction in the course of their life. 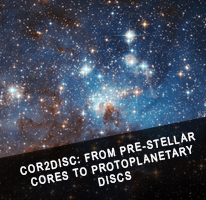 In this project we plan to look carefully at the 3 most uncertain steps concerning the evolution of stellar binaries: common envelope phase, natal kick and metallicity. 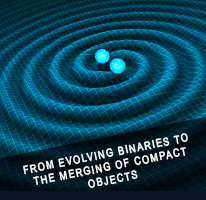 By taking into account the new 6D-view (position and velocity) obtained from the Gaia satellite on binaries, we aim to better constrain their evolution towards the merging of two compact objects (binary neutron stars, binary black holes or neutron star/black hole), leading to the emission of gravitational waves. Understanding star and planet formation is one of the major goal in modern astrophysics and must now be tackled using a multidisciplinary approach. Here we propose to combine star formation numerical simulations of cloud collapse with microphysical evolution gas and dust models to understand how material from the Interstellar Medium (ISM) is delivered into a protoplanetary disc, such as the solar nebula. Confrontations to meteoritic and specraft data thanks to the coupling of ISM simulations with solar nebula disc models will trigger important progress for our knowledge of the coupling between ISM and planet formation. Solar System exploration unveiled the ubiquity of mass wasting. The project aims at combining data analysis with model simulation at various scales and wavelengths, thereby allowing a quantitative assessment of the geomorphology across a wide range of planetary environments. 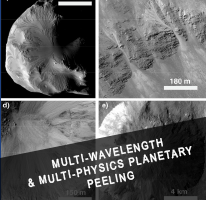 It will help to inform geomechanical models applied to mass wasting in both surface and sub-surface properties, as well as various triggering and feedback mechanisms operating throughout the Solar System. Ultimately, this project will provide new understanding on how planetary surfaces form and evolve over time, from small bodies to icy moons and planets. Although multi-wavelength observations of core-collapse supernovae (CCSN) are now routinely performed, specific features of the gravitational collapse can only be diagnosed by neutrinos. The objective of this exploratory project is to bring together experts in CCSN physics and members of the KM3NeT collaboration to assess the capability of the KM3NeT neutrino telescopes (optimized for GeV-PeV neutrinos) to detect MeV neutrino signal from the next close-by CCSN. 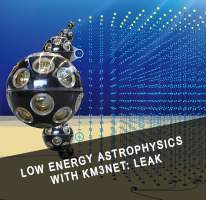 Using state-of-the-art numerical simulations and theoretical developments, we will explore the potential of the novel KM3NeT optical module design to efficiently suppress the background, and thus to detect features of the neutrino light curve related to hydrodynamical instabilities, neutron star equation of state, and neutrino properties. 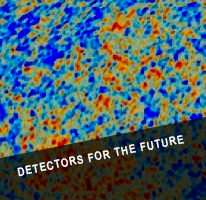 We propose a future program of detector device and data acquisition systems that have strong potential to lead to new science capabilities, especially in astronomy, and novel systems for research and innovation e.g. medicine. We focus for the short run on cryogenic detectors of a new type (Microwave Kinetic Inductance Detectors, first developed by Caltech and JPL in 2003) and a corresponding new level data acquisition system. 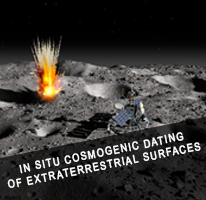 The future of planetary sciences depends on both sample return from extraterrestrial objects and in situ chemical and isotopic analysis as well as absolute or relative dating. Here, we plan to develop a prototype of a spatializable mass spectrometer dedicated to the in situ measurement of cosmogenic nuclides to date extraterrestrial surfaces that will be central in the selection of samples to be returned on Earth.